OnePlus 6: Did It Qualify The Expectations? Yes! With the launch of OnePlus 6 on 16th May (London)/ 17th May 2018 (China and India), the wait is finally over. A few rumors which turned out in reality, fascinated the OnePlus lovers. And, of course it ruled all other competitors with its perfect blend of unbeatable features and pocket-friendly prices. Not only it has stunning design, but it turned out to be an ace-in-class among leading smartphones of the year. When and Where To Get The Best Buy? OnePlus is made available on a few selected stores from May 22, 2018. Those who are willing to get the best buy, cashback offers and easy payment options can place online order from the links down below. However, OnePlus 6 will be made available at a few selected offline stores too. The early access sale is starting on May 21, 2018 at 12 PM exclusively on Amazon India for prime members. The very in-budget smartphone of the year till date; OnePlus 6 costs approx. We believe, OnePlus has really strived to leverage its fans by introducing a best-in-class smartphone at jaw dropping prices. Without any fail, OnePlus is again up with an innovation that owns stunning design. With the finishing of Gorilla Glass 5 all over, it offers great handling and strong gripping, simultaneously. OnePlus 6 design is definitely different from its precedents. Offering easy accessibility, it has fingerprint sensor at the back below dual cameras and alert slide on the right side. And, right beneath the alert slider, the power button is placed. The SIM tray with dual ports and volume button is set at the left. And, for the external memory card, there is no port. At the bottom of the device, there is 3.5 mm audio jack, microphone, USB Type – C port and speaker grill. And, a little extra protection against water is added with the seals at the ports. However, it does not have intense water resistance, but improvements have been done for the same when compared to OnePlus 5T. The optic AMOLED edge-to-edge screen of 6.28 inches with 19:9 display ratio holds a small notch right above it which is hardly noticeable. And, those who do not want to see the notch at all can use a software to cover it up. Talking about OLED display (FHD+), the resolution of 2280 x 1080 is excellent which makes OnePlus 6 a perfect device for bright, sharp and colorful pictures. 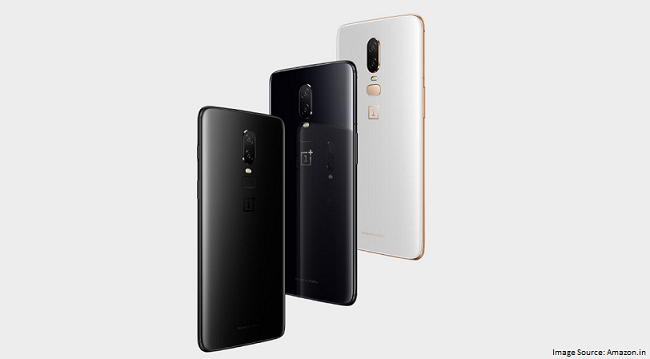 Keeping in mind for every taste, OnePlus 6 has arrived in excellent colors – Mirror Black, Midnight Black, Silky White and Avengers Edition. This color range is expected to have more color options later. OnePlus has been always known for its top-notch specifications. Following the same, OnePlus 6 with Snapdragon 845 holds 6 GB/8 GB RAM and storage capability of 64 GB/128 GB/256 GB. 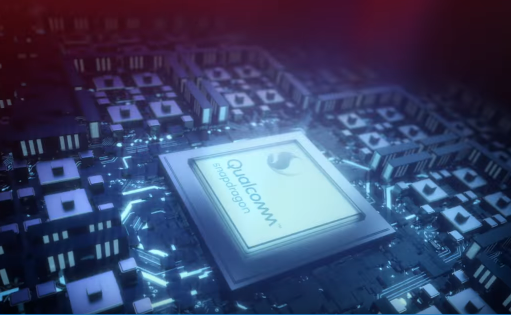 The processor, is no doubt, makes its performance above excellent. The face recognition and fingerprint scanner bestows fast accessibility than ever. With an upgradation, OnePlus 6 is now featuring OIS (Optical Image Stabilisation) and EIS (Electronic Image Stabilisation) enabling it to showcase 19% bigger pixels when compared to OnePlus 5T. At the rear, the dual camera is 16 MP + 20 MP with aperture of f/1.7. 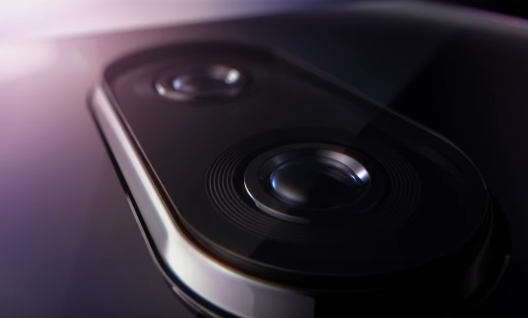 Front camera with 16 MP features EIS is performing the same as that of OnePlus 5T. When it comes to video capturing, it allows shooting 4K videos at 60 fps and is capable of creating a minute long slo-mo video with 480 fps at 720p. Be it front camera or rear, both are capable enough to capture detailed picture with best colors. The portrait mode for front and rear camera is initially not included, but it will be made available soon with the next software update. As OnePlus 6 rumors made a buzz among people that it may have wireless charging support due to its glass built. But sadly, following its traditional charging trend, it is having the wired charging. Although, its USB Type – C Dash Charger enables OnePlus 6 battery of 3300 mAh to get charge swiftly which will be approx. 30 minutes. This quick charging makes OnePlus 6 to perform for one full day. Oxygen OS based on Android Oreo is offering the excellent interface, but it could have been made better with Google’s OS. However, a few more features like face unlock, noise cancellation support and more are making it a must buy smartphone for those who are looking for value for money. And, yes, there are a few very interesting shortcuts to access camera, flashlight and more. Akin to previous year’s launch of OnePlus 5T – Star Wars Edition, OnePlus 6 set the fire among Avenger’s fans. And, what makes it different is, its availability. 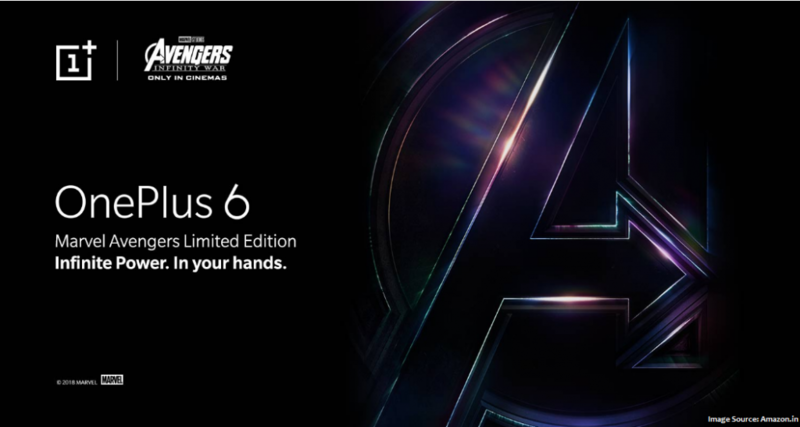 Yes, the availability of OnePlus 6 – Avengers – Infinity War Edition is made available only in India. This Carbon Black edition is made available with 256 GB storage memory and 8 GB RAM. The charger is, however, the same as that of other variants. With this edition, the buyers are going to bag a goodie and a highly durable back cover with Avengers theme. The design is what makes it slightly different from other variants. The alert slider at the right is golden in color. Gorilla glass 5 is placed at the front and rear, but under that carbon fiber pattern is introduced (at the back). And, a logo of Avengers is placed at the bottom. Talking about the software and overall performance, it is similar to other variants, while the default theme is again Avengers. OnePlus 6: Is It A Tough Competition For Other Smartphones? Summing up the revealed features and specifications at the launch, OnePlus 6 makes a perfect smartphone. Be its design, performance, camera or processor, this much awaited smartphone has arrived with a lots of upgradation against its predecessors. The prices, no doubt, are making it a budget-friendly smartphone which bags every feature a revolutionary phone should have. A range of sophisticated colors, a smart security access, an improved camera, a stunning built, a fast processor and what-not, OnePlus 6 has it all. And, yes, a lot more is to be revealed with its arrival.